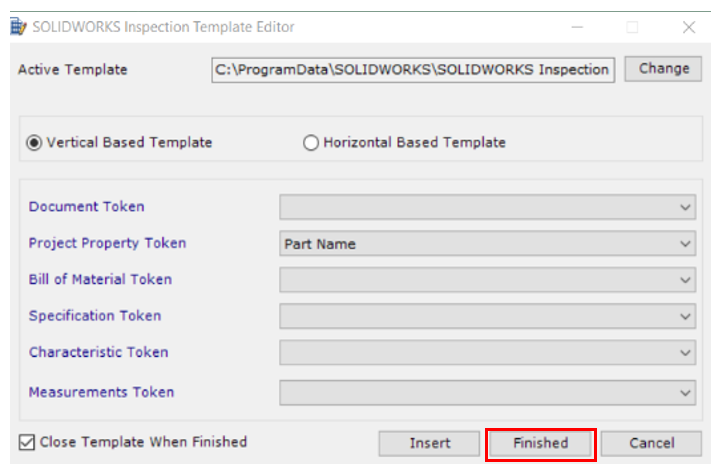 SOLIDWORKS Inspection automates your quality processes by streamlining your First Article Inspection Reports and Ballooning process. 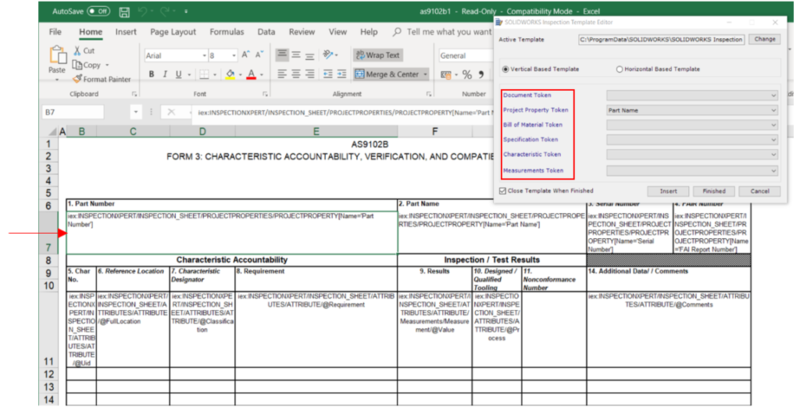 It not only contains various Industry Standard templates such as AS9102 and PPAP pre-installed, but you can even customize the Excel based FAI report as per your company standards through a ready-to-go tool called Template Editor. 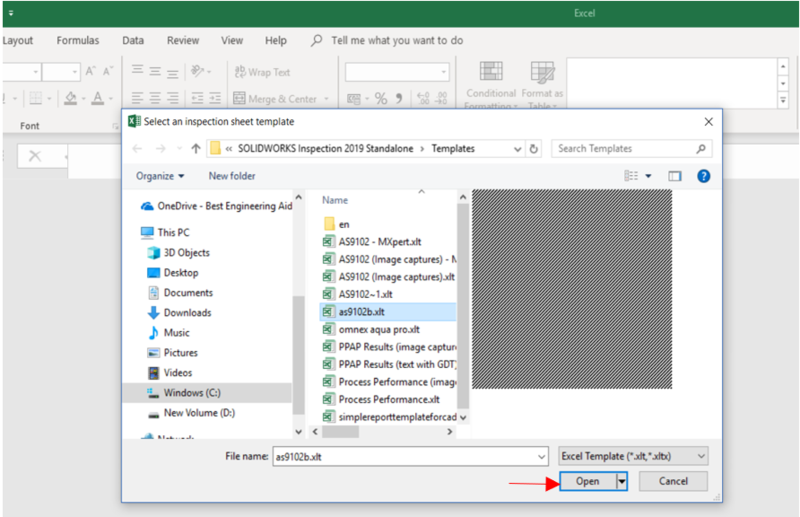 To customize your Inspection report template, open the Template Editor from the File Menu of the SOLIDWORKS Inspection Standalone application. Before the Template Editor Dialogue Menu opens, it asks for a excel based template in .xlt format. Select a particular template predefined with all different properties such as Part Number, Part Name, Characteristic number or balloon number, FAI report Number etc. as per your requirement. We can customize our template in Vertical Based Template as well as Horizontal Based Template format, which can be selected from the Template Editor. 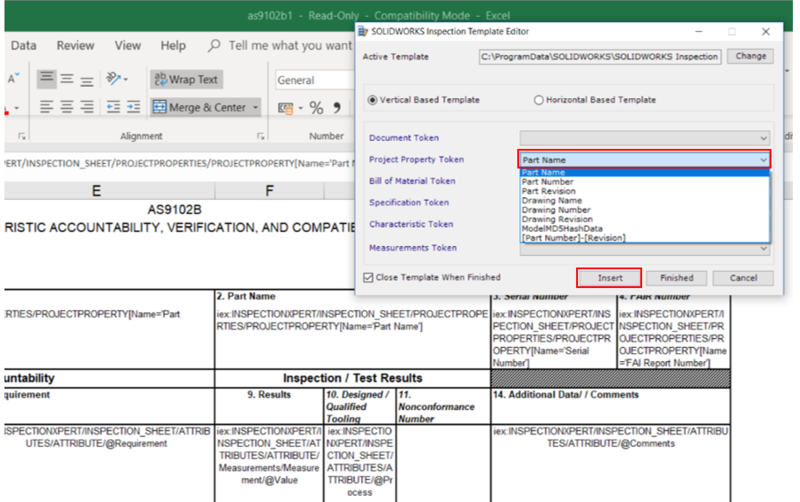 Further we must map the attributes of the template editor dialogue box with respect to the properties in the Excel template with corresponding cell. 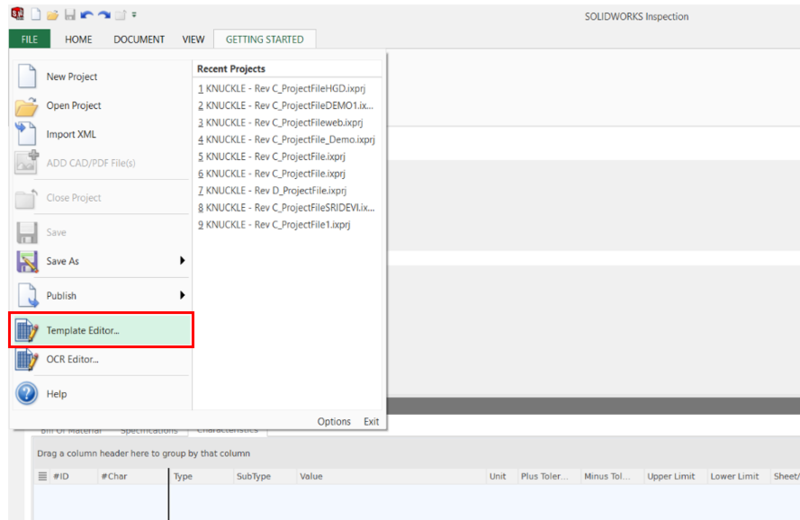 Such as for this ‘Part Name’, select the corresponding cell where we have to insert the attribute and then we select the Part name from Project Property Token and then select Insert. Notice different types of Tokens available in the Template editor, containing different attributes that can be selected from the dialogue box. Tip: Only the first cell in the particular column need to be mapped with the attributes, corresponding rows will be automatically populated as required. Once all the required attributes have been inserted, we can click the Finished button and we move on the final step of this customization i.e. Saving your Inspection Report Template which will create your ready-to-go Company-Standard template for FAI reports.